I know I can't be the only one who starts to get a bit anxious about the week ahead on Sunday evenings. Last month was the first time in a while that Sundays weren't too overwhelming. That was more than likely due to the fact that the school year was finished and I only had one graduate course. The anticipation for the week ahead returned last Sunday as I prepared for a busy week ahead including graduate courses from 9:00 - 4:00 and plenty on my to do list. As per usual, I survived the week and made it to another weekend. I try to do some specific things on Sundays to prepare for the week ahead (I shared those tips here). Since I know plenty of us feel the same way about Sunday's I tried to come up with a way to make it a bit more fun for all of us. The solution I came up with includes focusing in on some of my favorite things instead of worrying about what I can't control. And what better way to share those with y'all than in a blog post. Enter: Sunday Spotlights. Sunday spotlights will not only share with y'all some of my favorite brands and products, but also give me a chance to giveaway one of these favorites for y'all to start loving as well. Sound like a plan? Entering the giveaways will be simple since I'll post an image of me enjoying the product on instagram (@prepinyourstep) with the requirements to enter directly in the caption. All you'll have to do is follow those instructions to be entered. 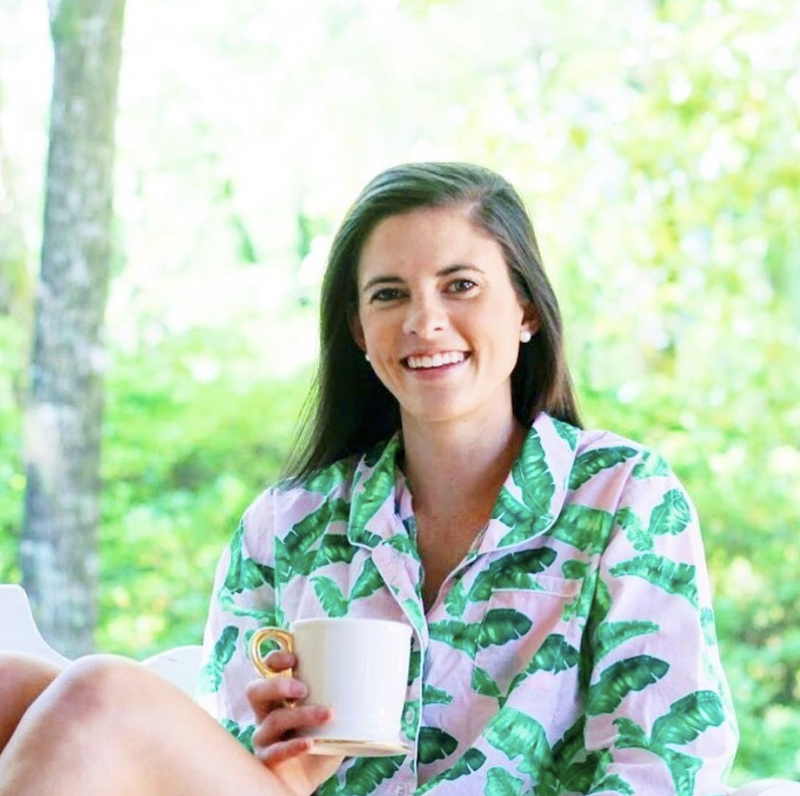 Over on the blog, I'll be sharing more about the brand and while I love it so you can get a full taste of what makes it so great. 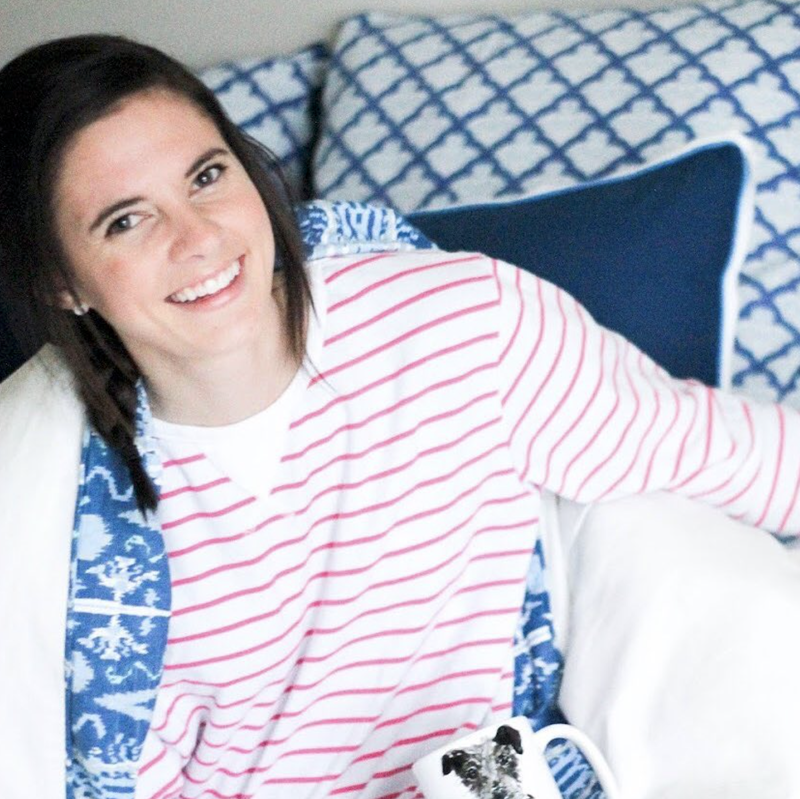 Since I am not sure if there is anything I love quite as much as a matching pajama set, the very first Sunday Spotlight is on one of my favorite sleepwear brands, Sant + Abel. If you've been following for a while, you've probably seen me enjoying my Sant + Abel sets on more occasion than once. Sophie Lovejoy created the brand during the summer of 2011 when Sydney, Australia was scorching hot. She created the luxury collection made from lightweight, breathable super fine cotton. With a hope of allowing everyone to experience this new level of comfort, the collection has pieces that include the entire family. The personality in each pair of PJs is evident making it hard to choose just one pair and even harder to find motivation to change into regular clothes when you wake up. After wearing the Tropical Punch set ( top // bottom ) nonstop last spring and summer my friends quickly became equally as obsessed. 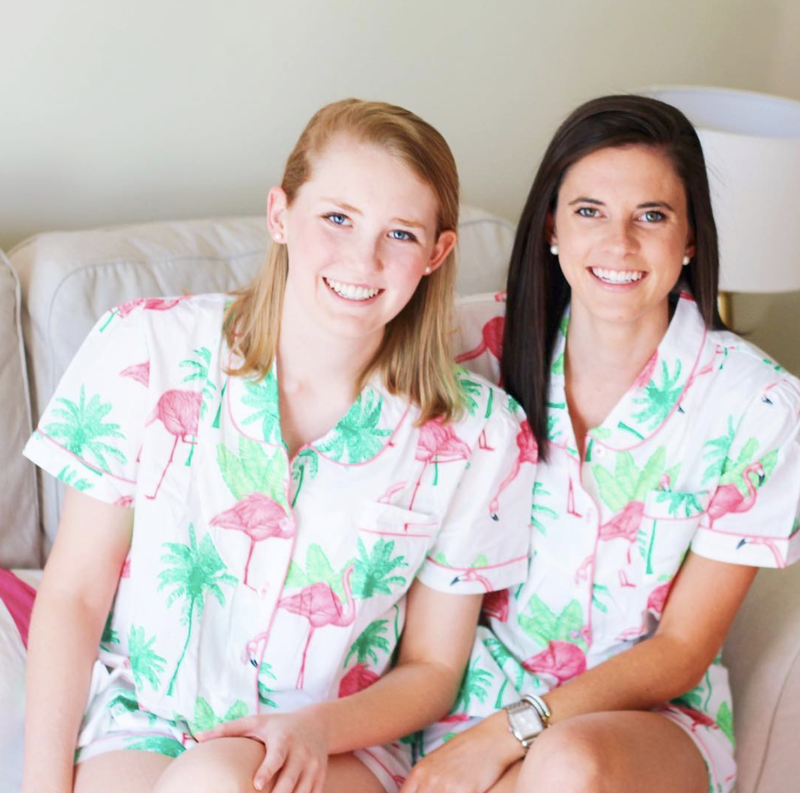 Adding the Bora Bora (top // bottom ) and Pink Zebra (top // bottom ) set to my collection didn't help the fact that they also wanted to get in on the fun of this playful pajama trend. Nell finally tried out her first pair when she came in town back in June to visit me and was hooked. 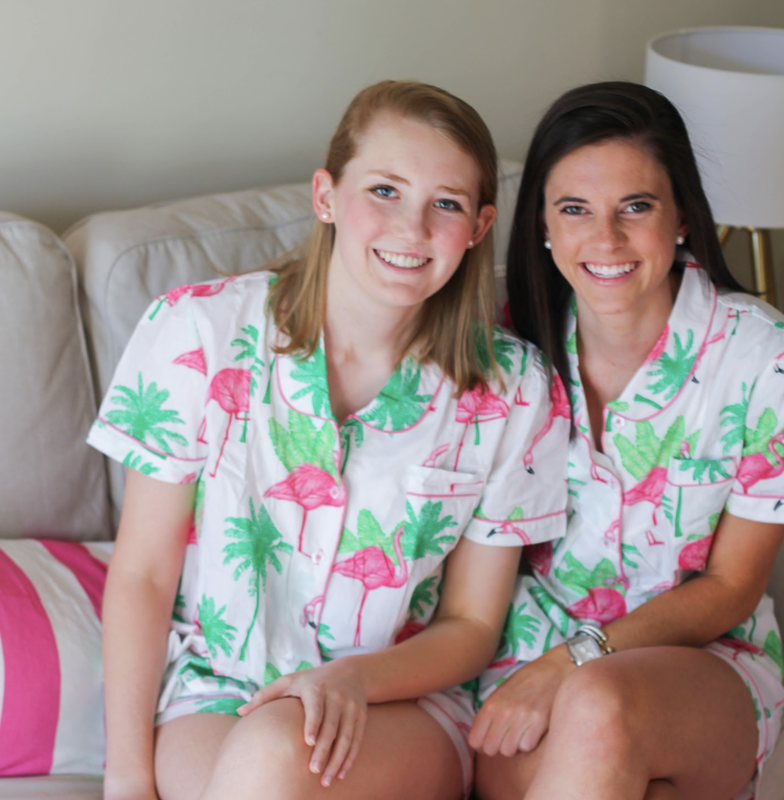 We both thought the Flamingo set ( top // bottom ) from Sant + Abel was perfect for summer which is why today's Sunday Spotlight giveaway prize includes a pair of Flamingo pajamas for you and your best friend! I think this would be the perfect way to make Sunday evenings a little less scary and Monday mornings slightly more fun! Be sure to head over to my instagram (@prepinyourstep) this evening to find out how you can win a Flamingo Set for both you and your best friend. And since we are talking about giveaways, I think it's time for another hint for my Nordstrom Sale $200 e-giftcard giveaway. Hint # 2: I didn't snag this piece. Remember that to enter that giveaway you'll need to go to this post and read the instructions. And given today's generosity I think I'll share another way to get a hint in an instagram story this afternoon! great pajamas, such cute. I really like. In general, your texts are very well written, very professional. I like you are a young man. 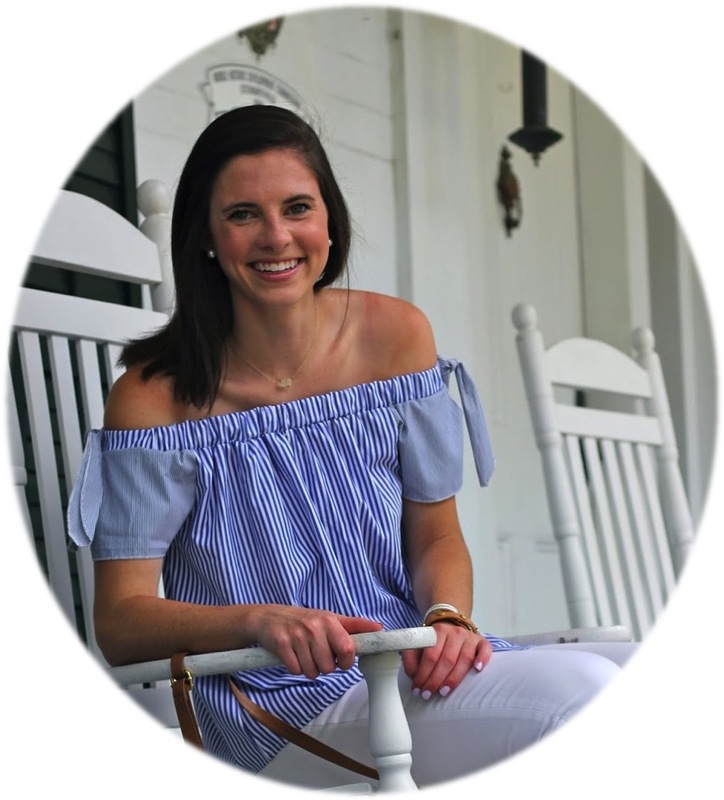 Tell me how much time is needed to prepare one good post for your blog?